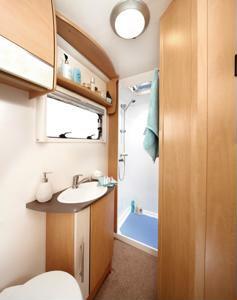 The bathroom is used for many purposes, but ironically, we give it the least amount of space in our homes. This is why homeowners need to be aware of every inch of the room and make the most out of it. Perhaps the one area that often gets overlooked is the vertical space of any room - after all, we normally can't reach that high! However, in a cramped bathroom, it may be beneficial to get the most out of this. Hang shelves and baskets and stack them up as high as you can go. Install a shelving unit on top of the door for products or bathroom accessories that you occasionally use. For a medicine cabinet, opt for a slim version that you can place next to the bathroom vanity. Once complete, try to call attention to the bathroom wall - hang window treatments to add height to the area or elongated decorations to create the illusion of space.